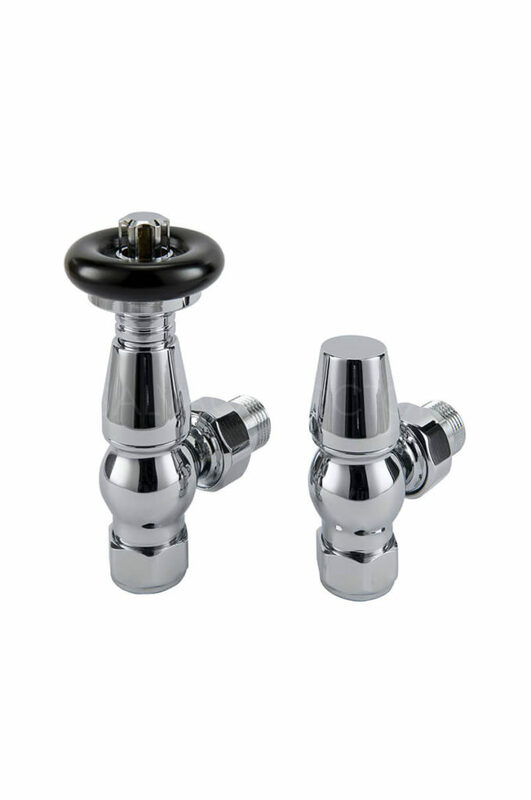 See our radiator valves and other accessories below. 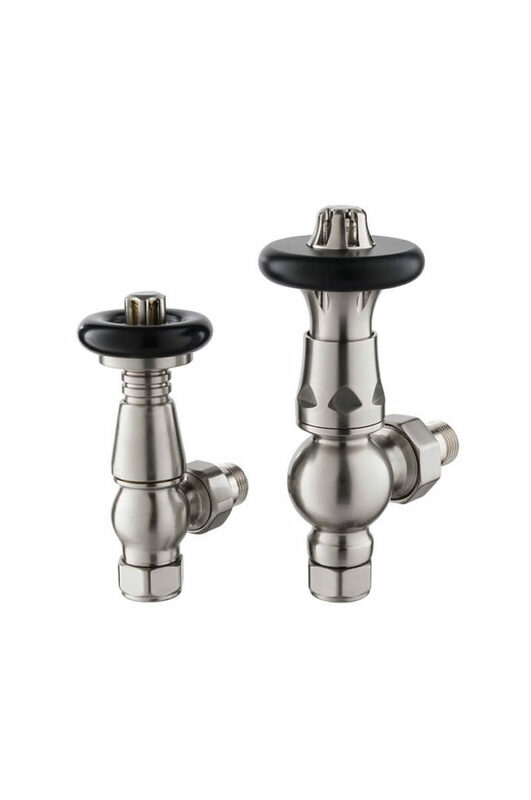 Improved flow rates of modern central heating systems allow the use of the smaller 15mm-1/2″ radiator valves most cases. 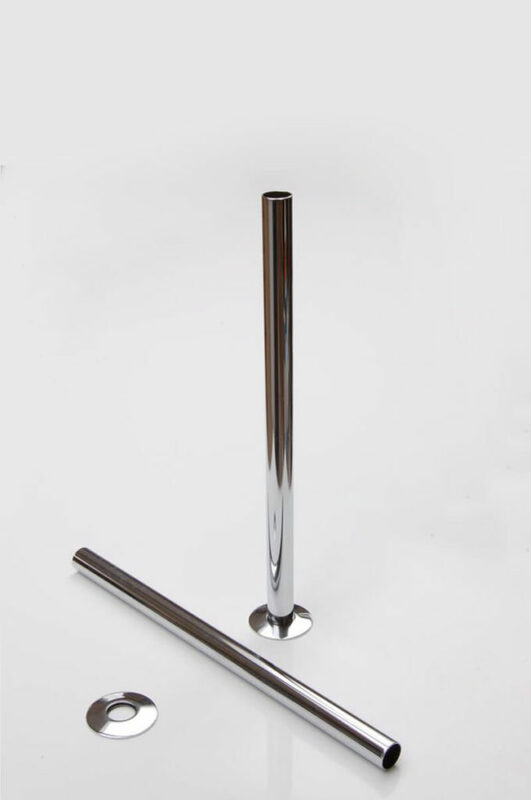 Certainly this size tends to be the favoured choice for most heating engineers, even in the case of larger radiators. 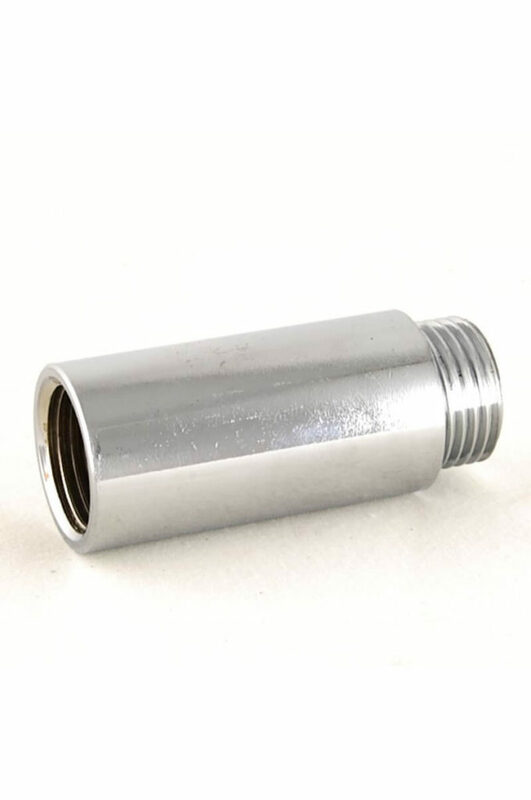 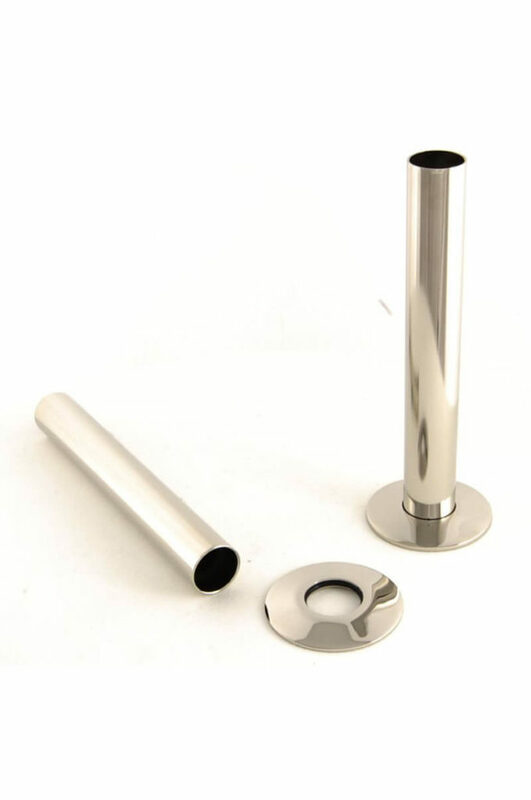 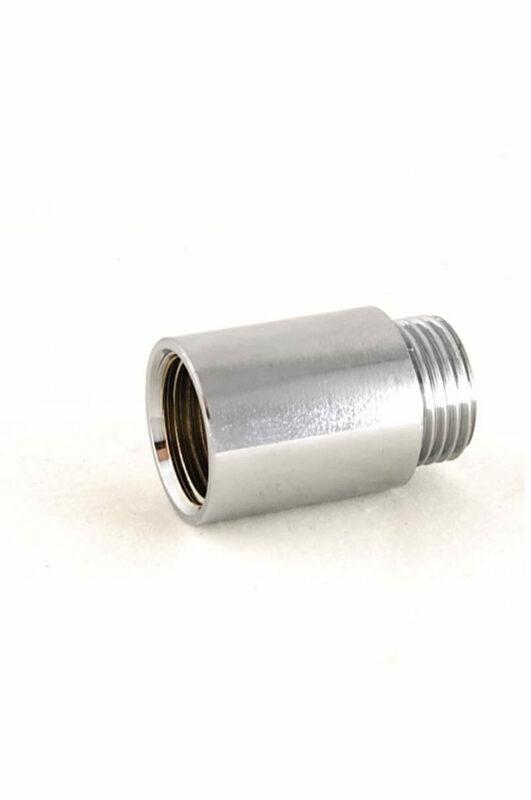 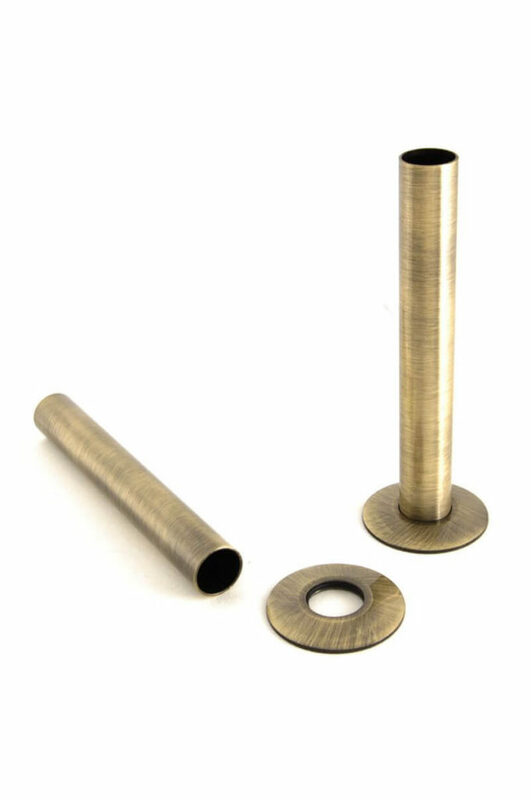 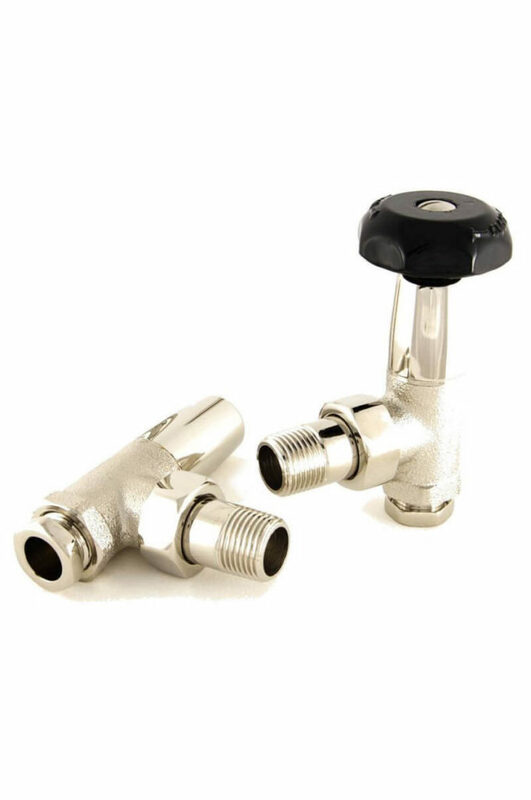 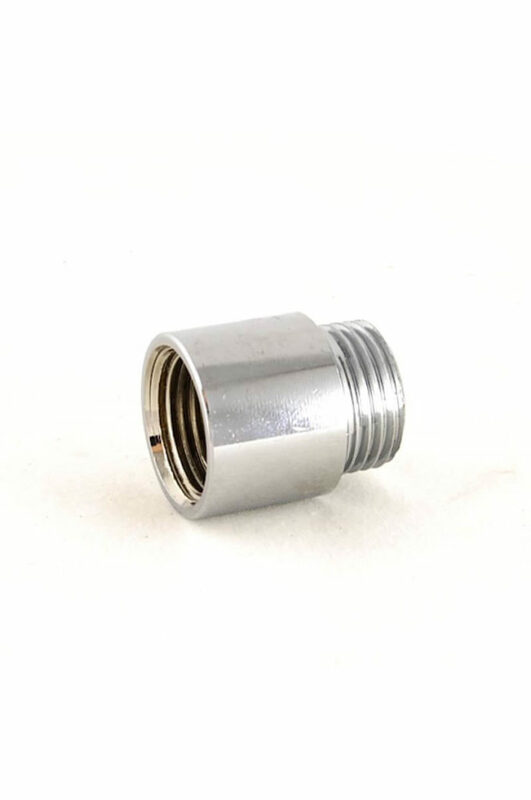 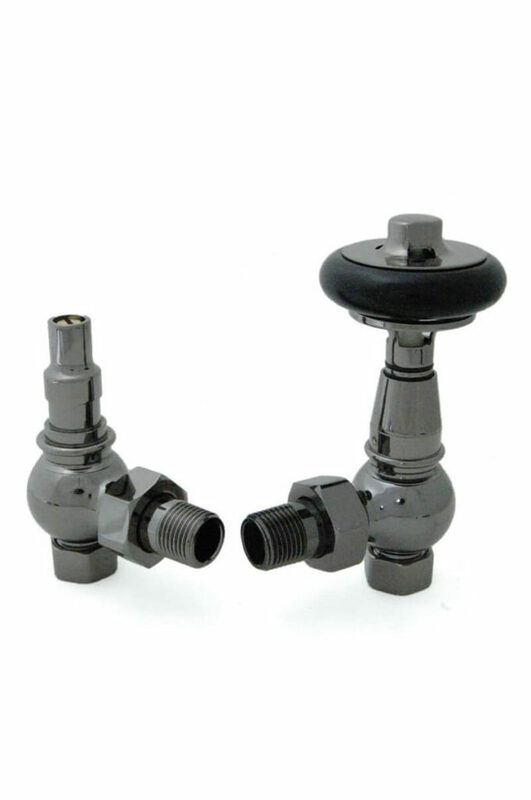 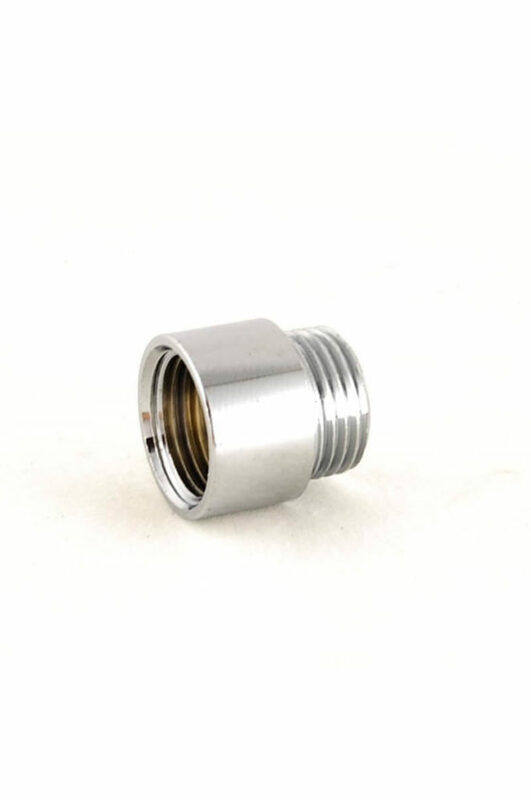 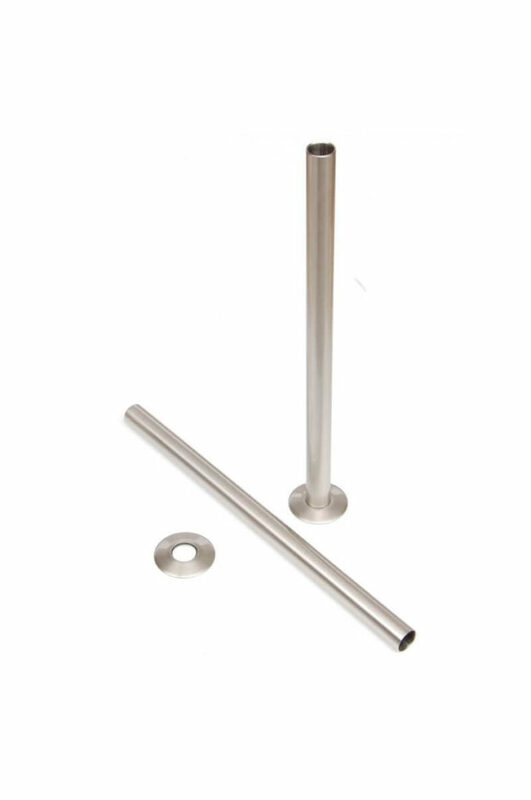 The 22mm-3/4″ gives a slightly larger overall appearance, as does the 22mm pipework. This bigger look is occasionally favoured by our customer. 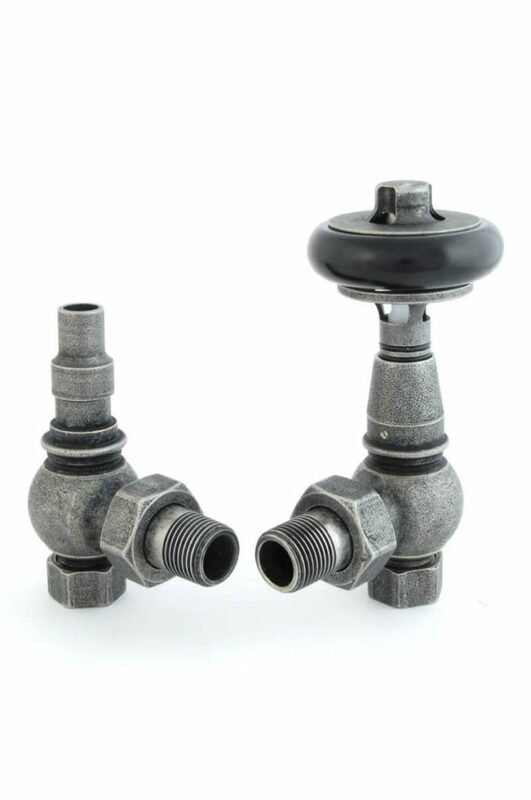 Practical restrictions, ie, much larger radiators or reduced flow rates may dictate the need for this larger valve in order to maintain sufficient flow through the radiator. 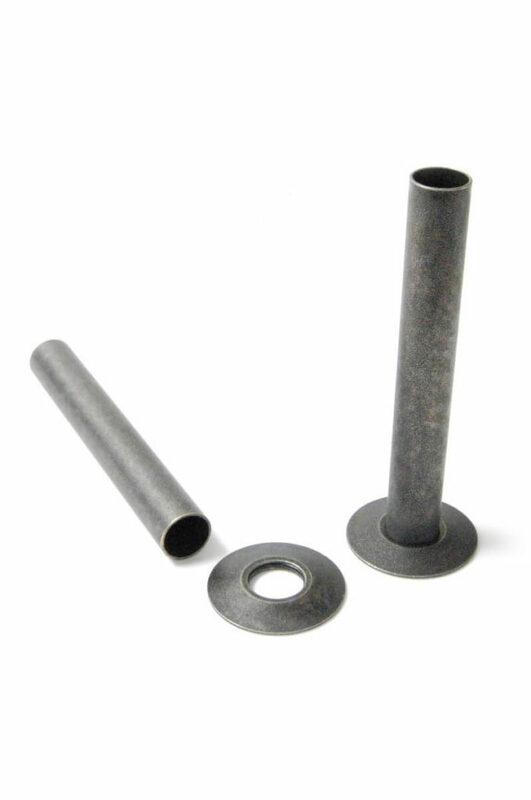 British Imperial pipe threads have not changed in over 100 years and remain the choice for industry. Modern copper pipe is produced in metric sizes. 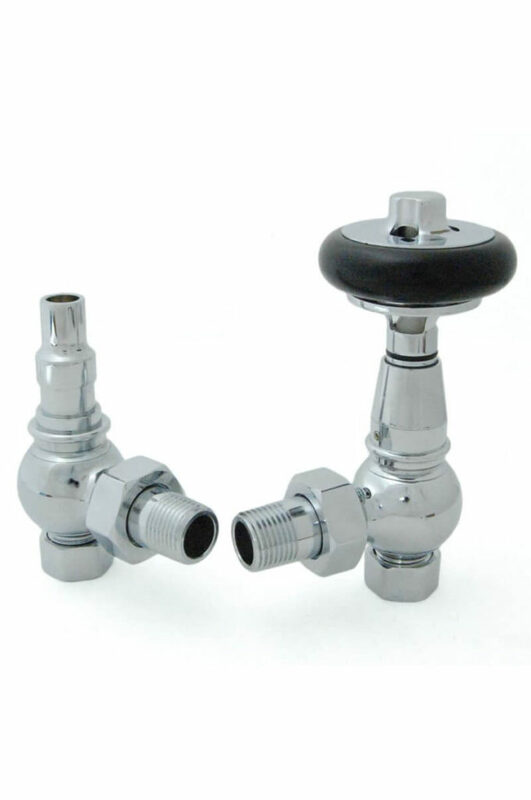 This explains the somewhat confusing references to both imperial and metric sizes on apparatus like radiator valves. 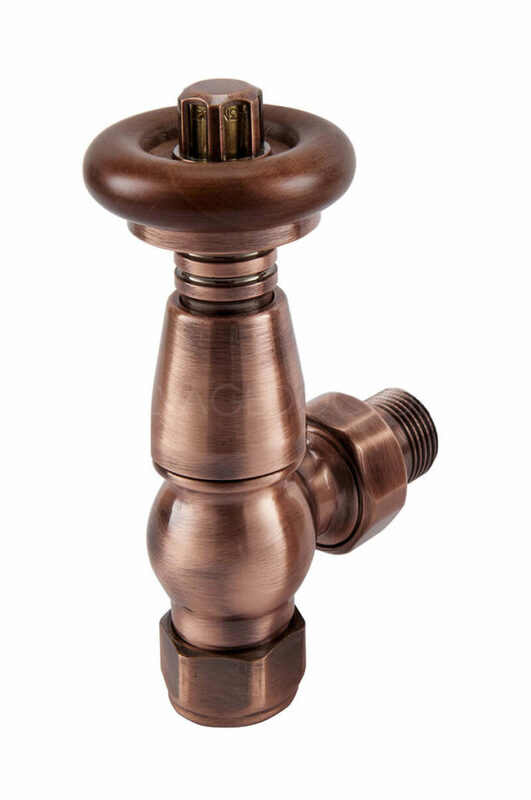 Essentially, the imperial reference relates to the thread on the radiator, the metric reference being the modern pipework. 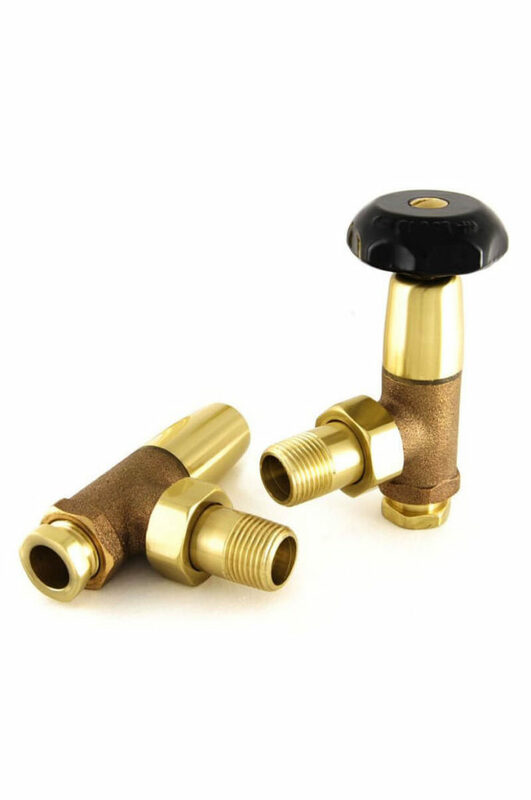 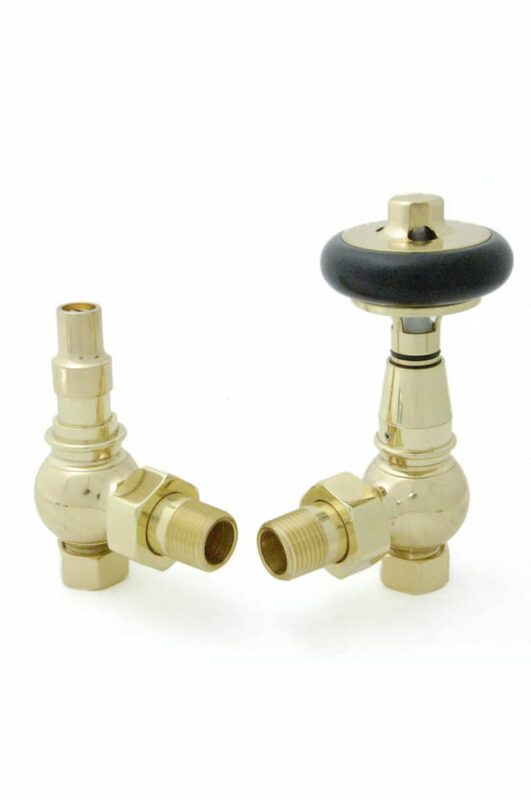 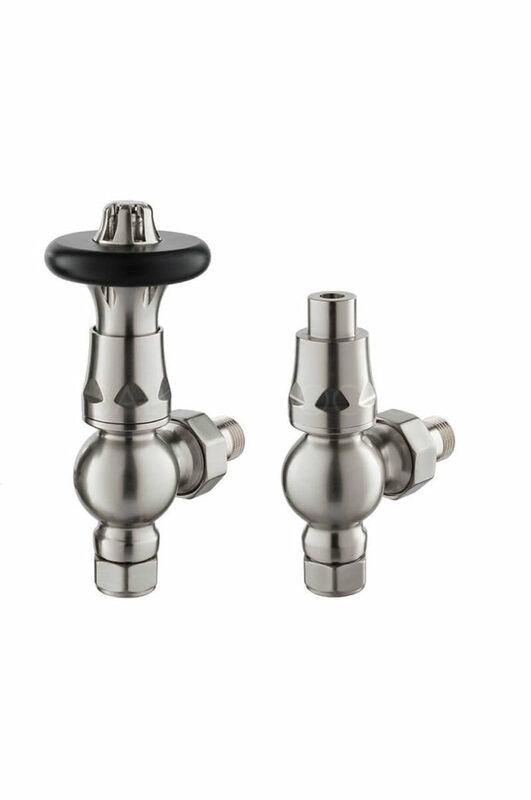 Please note there is a far greater choice of valve designs in the smaller 1/2”-15mm size. 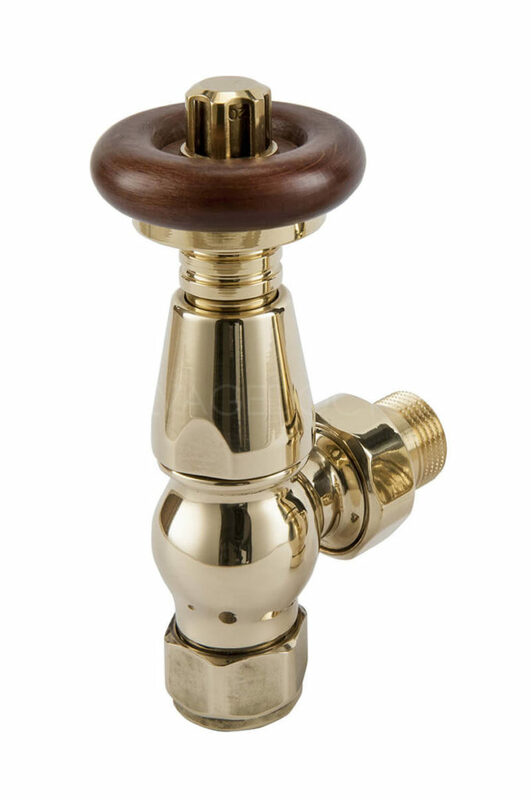 Building regulations favour the use of thermostatic apparatus in place of stand alone manual valves. 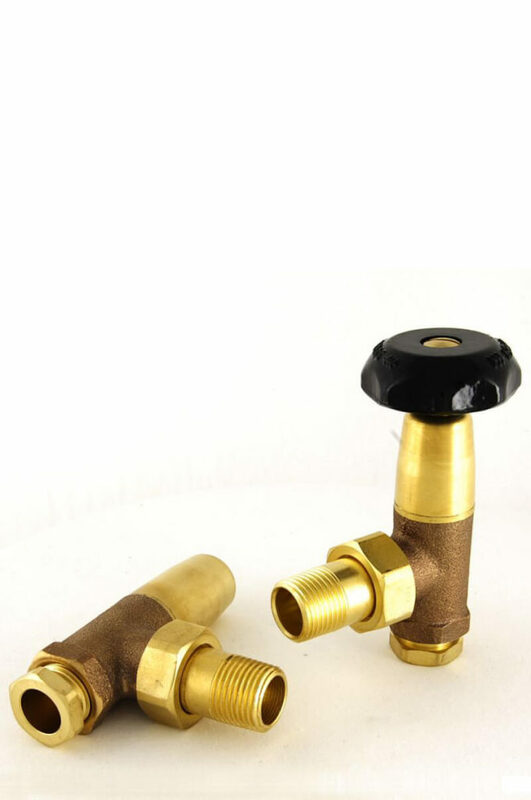 We advise you consult with your heating engineer to establish if regulations apply to your particular installation. 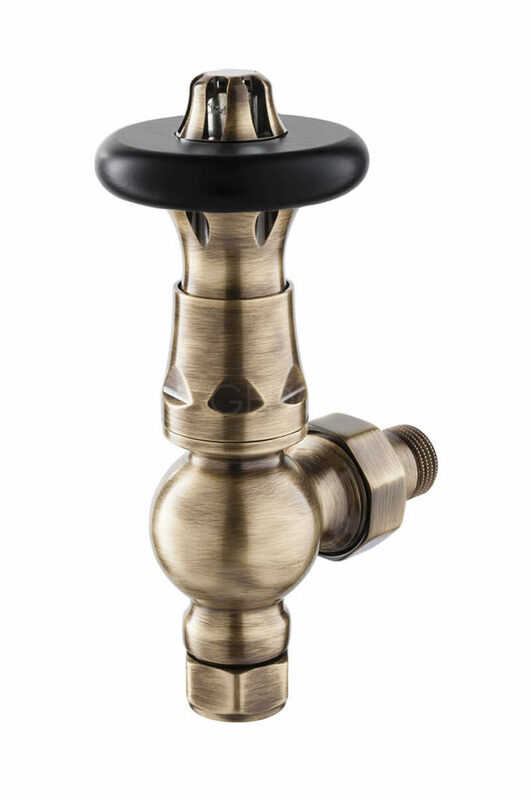 Thermostatic radiator valves automatically adjust the flow of water through the radiator in order to maintain temperature. 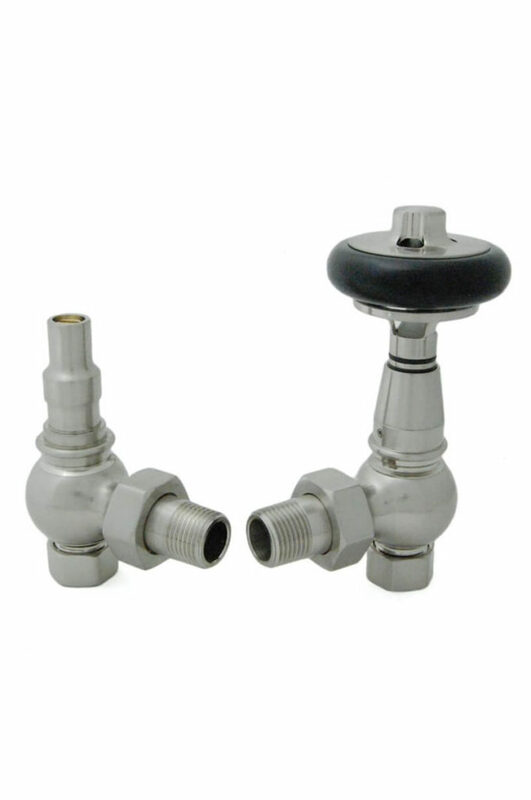 An added benefit being increased flow through the valve when cold, enabling a faster heat up time. 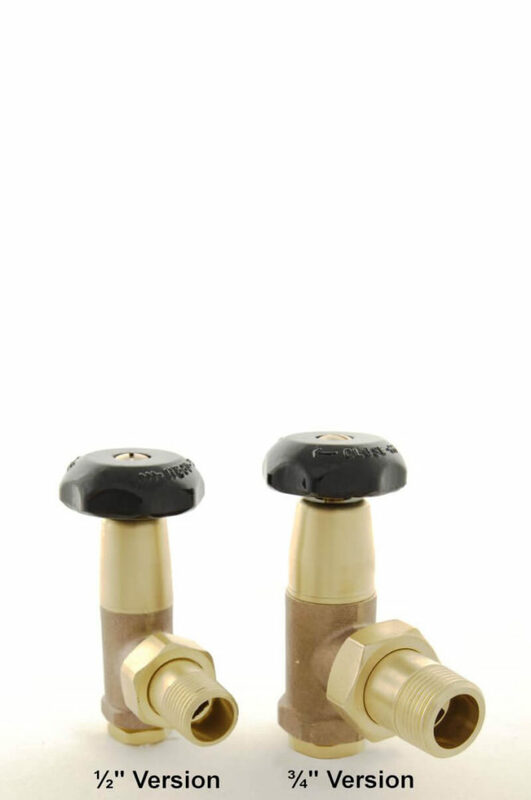 Italian Vintage and Vintage XL valves together. The Vintage XL is the largest sized valve on the market and is best suited to larger radiators including Princess/Duchess and Ornate ranges for example. Manual radiator valves are adjusted by hand. 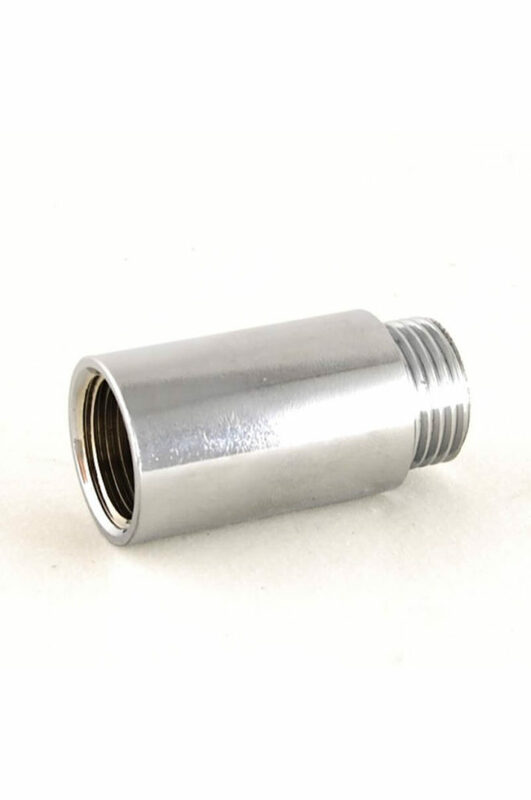 They do not account for external fluctuations in temperature so may require frequent adjustment. 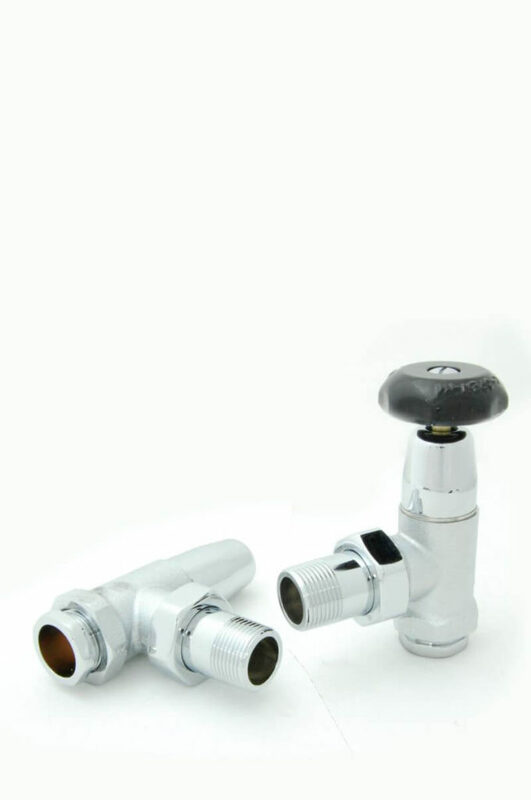 However, the manual valve is a suitable choice if a remote temperature sensor is installed within the same ‘zone’. 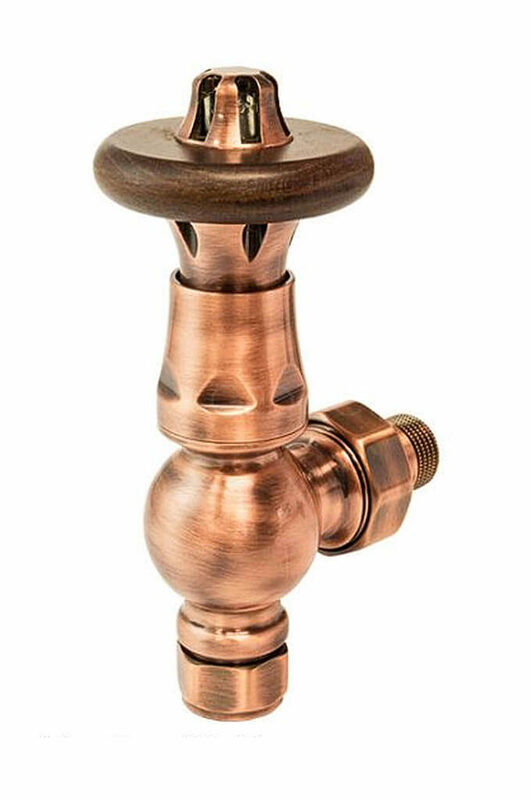 This avoids the ‘conflict’ between Thermostatic valves and a wall stat or sensor.